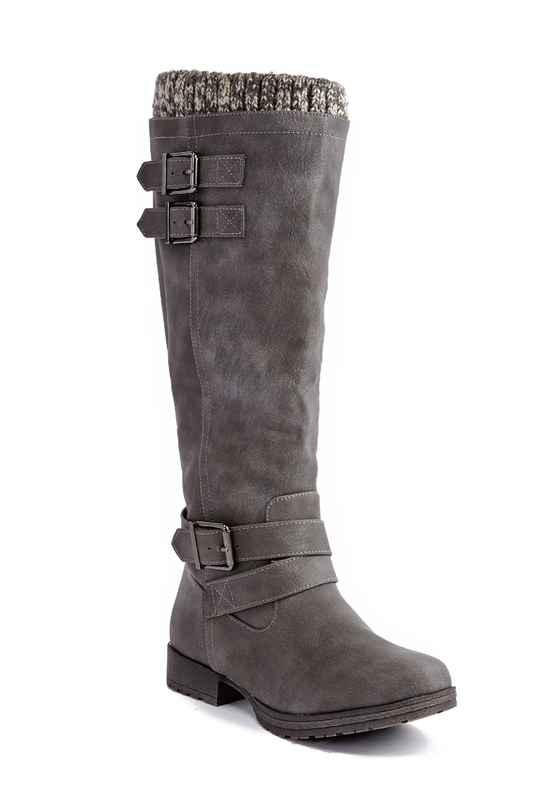 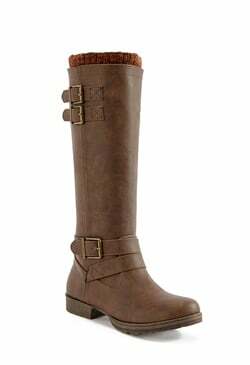 A sleek and stylish flat boot with an inner zip closure and buckle accents. 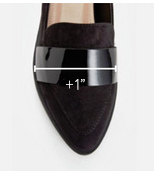 Shaft height & calf circumference increases or decreases by 0.5" per whole size. 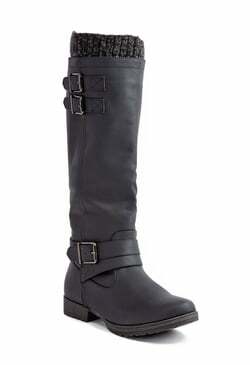 Reg: 16.5"; Wide Calf: 17.5"
True to size; Measured on a size 8.